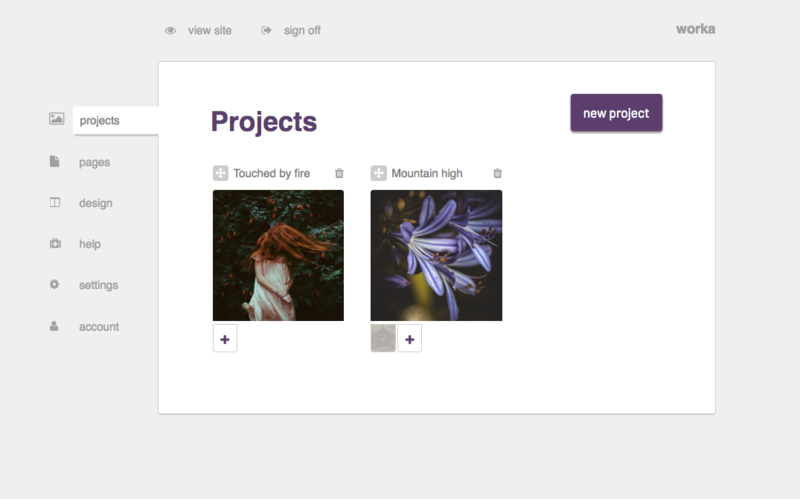 The project is the unit of content where you can upload your creations. 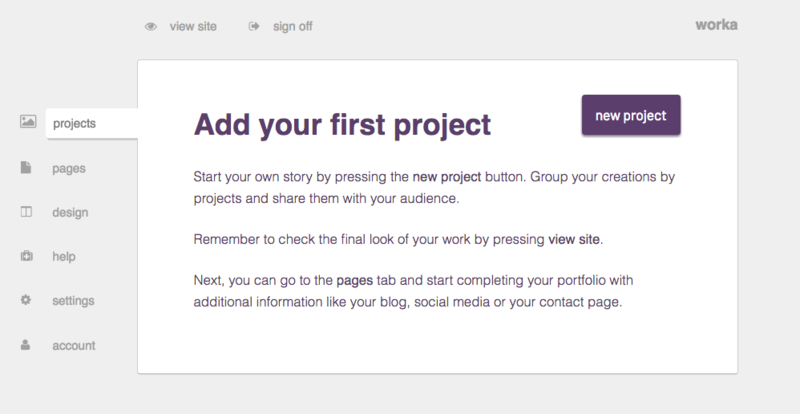 For starting a new project you can click the “New Project” button on the right side of the screen. You can upload your content through this screen. Images are the only objects that can be uploaded from your device through the browse button. Embedding elements like audios and videos is possible through the Paste Your URL Here box. YouTube, Vimeo and SoundCloud are currently supported in Worka. If you need more information about the media of your portfolio, go to Upload media. The visibility button allows you to choose what content will be displayed. When the button is red, the object won't be visible for the audience. 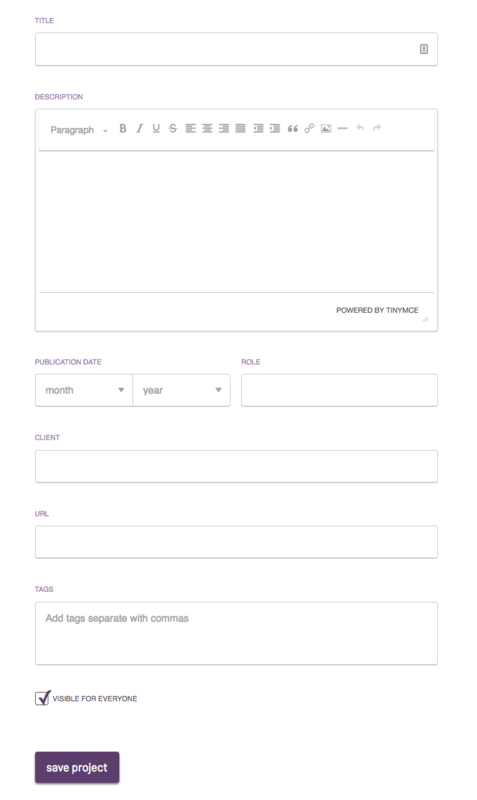 Choose a Title for your project, it will be shown on the pages and the audience will see it. 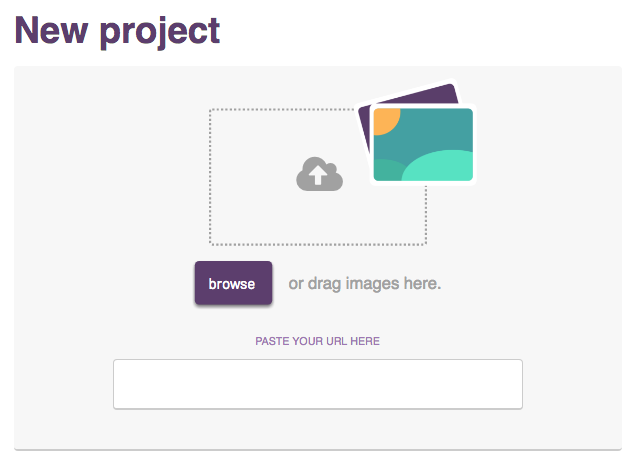 Also, this title will be used for creating the URL of your project. This is the default setting and it can be adapted to your wants afterwards. Tell the story of your project or describe it in the Description box. Keep in mind that this text will be the first thing that your audience will see and that it will give them vital information for understanding it. The Additional information helps you give a better insight of the project, all of this is optional and it will only be displayed if they are filled. Publication Date, your role, the name of the client and the URL of the project, if necessary, are the characteristics of your project that can be shown in your portfolio. Moreover, and for classification needs, tags can be added. This element aims to group similar projects and it allows the visitor to filter the content. 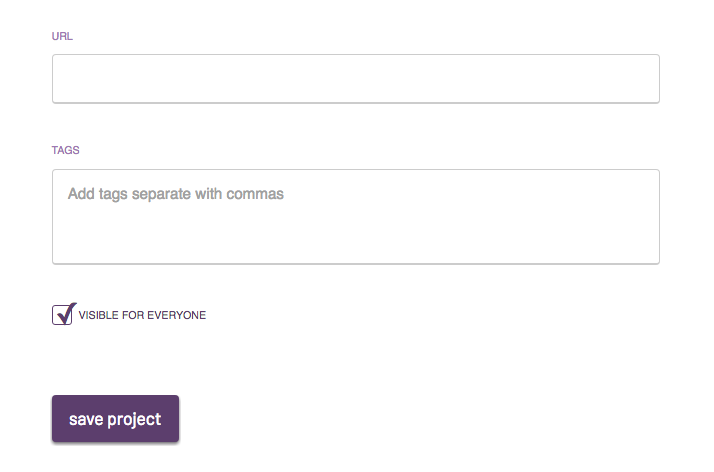 Don’t forget to check the box “Visible For Everyone” as it will allow your project to be reached by your audience. Every change you make can be saved using the “save project” button, otherwise it will be lost. Make sure that you show your audience the most updated version of your creations!